Are you open for business... for everyone? An accessible business is one that is equally open to all potential customers, including the approximately 375,000 people in Northern Ireland who have a disability. Enabling customers of all ages and abilities to access your services could widen your customer base. A disabled customer can often quickly become a loyal customer who may also bring their friends and family, meaning repeat business for you. We’re all getting older, the market and need for accessible services and products will continue to grow in the future. The Equality Commission has developed the "Every Customer Counts" initiative to support Northern Ireland traders seeking to promote accessible services. Our goal is to encourage business men and women to take a moment to use our free self assessment tool and consider how open their services currently are to disabled people. Use our inclusive customer service statement & policy (editable pdf) to tell your customers about the steps you have taken to make every customer count. • Download our self audit tool (editable pdf) to identify any potential service gaps or possible areas for improvement. We are committed to providing additional support to anyone seeking to make adjustments to their current arrangements. You can also contact us to discuss your plans and get additional support and guidance. Sign up to our 'Every Customer Counts' commitment and show your customers that your business is open to everyone. Reasonable adjustments should aim to provide equality in service provision for everyone, with the same level of access, dignity and choice. 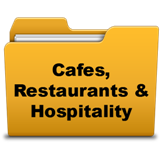 Small changes to the way you work, how you present information and your premises can have a big impact on your customer numbers. Making sure that your staff can provide great customer service to disabled people can often make the biggest difference of all. Well trained staff who are confident serving disabled people could also boost your sales. The Equality Commission has widened the ‘Every Customer Counts’ initiative to include the public sector. Like the private sector, local councils, health trusts and other public authorities in Northern Ireland must provide their services to everyone including those with disabilities. 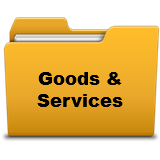 This is a selection of disability-related publications that are relevant to providers of goods, facilities and services. < Disability - what does the law say? Disability awareness / equality training - The Equality Commission provides information about training, policy development, and disability codes of practice. Disability Action NI - provides a range of services for disabled people, their families and their carers and are a useful source of information on disability issues. Leigh Nelson, a director of Specsavers, Newtownards, gives her account of steering her branch through the Every Customer Counts process and what it achieved for her business. The modifications to her business were predominantly to do with how they offer their service, making sure that all staff have the training, the ability and the willingness to engage with all sorts of customers. Physical adaptations were minimal. Doreen McKenzie, from Knock Travel (now Oasis Travel), Newtownards, explains how they changed their premises to make them more accessible for everyone. Providing good service and meeting the needs of their customers was vitally important, so they undertook an audit, talked to their customers, delivered training to their staff and put a plan in place. 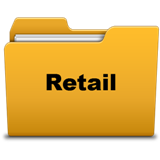 The changes were not difficult and have delivered tangible benefits for both customers and the business. Todds Leap outdoor activity centre offers a range of activities to suit all age groups. Ben O'Hanlon, explains how they made various adjustments to cater for customers with disabilities. Even small changes can be of great benefit to disabled people. He said, "It's important to put a smile on their face just like everyone else. All customers count, all people count." 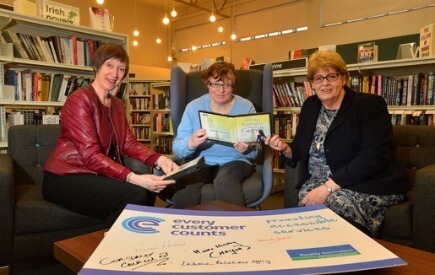 Libraries NI in partnership with voluntary organisations actively seeks to promote their services to disabled people and thereby increase the number of disabled people using library services. Libraries NI sees this as an important part of ensuring that disabled people can participate in the social, economic and political life of our community and is therefore an important part of being socially integrated. Craft activities for people with learning disabilities. The Health and Social Care sector in Northern Ireland recently launched a new piece of Guidance for staff. The guide 'Making Communication Accessible for All: A Guide for Health & Social Care (HSC)Staff' will assist health sector staff to make sure that people using health services have access to the appropriate communication methods that they need, thus assisting disabled people in accessing services. Development of the guide was led by the Belfast Health and Social Care Trust in partnership with the Health and Social Care Trusts, the Health and Social Care Board (HSCB), Public Health Agency (PHA), Business Services Organisation, the NI Ambulance Service and partners from the community and voluntary sectors. “One in 5 people will experience communication difficulties at some point in their lives. Inclusive communication reduces barriers which are often created through people simply not knowing how to communicate effectively. This guide aims to give staff practical tips and advice that will establish good practice and mean improved health outcomes for people with communication support needs and the wider community. Producing the guide with the community and voluntary sector was essential as the partnership working meant that people with expert knowledge and first-hand experience could influence this good practice resource for staff”. The guidance provides practical advice and support to staff by signposting for example, how to access sign language interpreters. It assists staff to think about the many different ways to effective communication i.e. speaking, writing, sign language, photographs, pictures, symbols, objects, electronic aids, as well as non-verbal communications including facial expressions, body language, sounds and gestures. 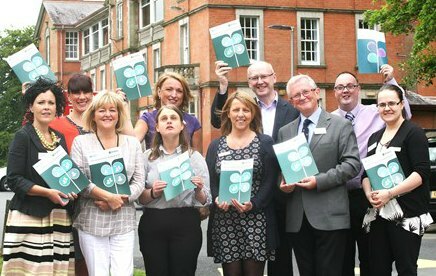 Photo caption: pictured at the recent launch at Knockbracken Healthcare Park, Belfast, are users of health and social care services, pictured with reps from Belfast, Southern and South Eastern HSC Trusts, the Equality Commission NI, the RNIB, Mencap, the Regulation and Quality Improvement Authority, and the Public Health Agency.